With a stay at The Royal Caribbean - An All Suites Resort in Cancun (Zona Hotelera), you'll be a 4-minute drive from Maya Cancun Museum and 5 minutes from El Rey Ruins. This beach resort is 1.5 mi (2.4 km) from Aquaworld and 2.5 mi (3.9 km) from Delfines Beach. Make yourself at home in one of the 207 guestrooms. Dip into one of the 2 outdoor swimming pools or enjoy other recreational amenities, which include a fitness center. Additional amenities at this Art Deco resort include complimentary wireless Internet access, babysitting/childcare (surcharge), and gift shops/newsstands. You can enjoy a meal at the restaurant serving the guests of The Royal Caribbean - An All Suites Resort, or stop in at the snack bar/deli. Unwind at the end of the day with a drink at the bar/lounge or the swim-up bar. Buffet breakfasts are available daily from 8 AM to noon for a fee. 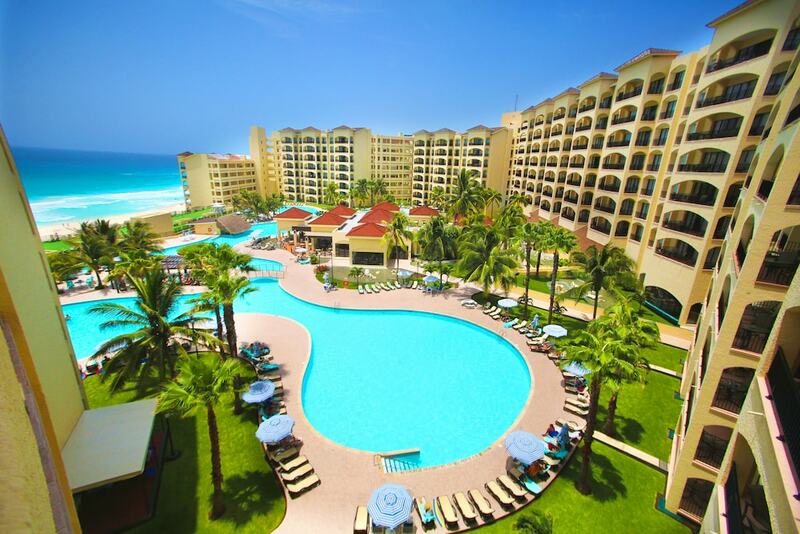 The Royal Caribbean - An All Suites Resort features 2 outdoor swimming pools and a fitness center. Dining options at the resort include a restaurant and a snack bar/deli. Guests can unwind with a drink at one of the resort's bars, which include a swim-up bar and a bar/lounge. Wired and wireless Internet access is complimentary. This Art Deco resort also offers tour/ticket assistance, multilingual staff, and gift shops/newsstands. Guests can use the outdoor pool at a partner property. Complimentary self parking is available on site. The Royal Caribbean - An All Suites Resort is a smoke-free property. Buffet breakfasts are available for a surcharge and are served each morning between 8 AM and noon. The Royal Caribbean - An All Suites Resort has a restaurant on site.